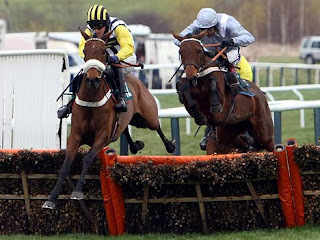 The Close Brothers Novices’ handicap is a chase race listed by the national Hunt in Great Britain. The decade-old race is officially known as the Centenary Novices’ Handicap Chase but has taken different names over the years to accommodate sponsorship requirements. It brings together horses of a minimum age of five years competing on a left-handed turf layered course. Horses compete to complete a distance of 4124 metres (2 mi 4 furlongs) with 16 fences placed along the course during this last race of the first day of competition. It is made more challenging by the inclusion of handicaps that specific competing horses have to overcome. Handicaps require a high degree of stamina on the part of the racehorse and an impeccable level of skill on the part of the rider. winning horse. The race is also fast gaining popularity with gamblers with the number of bets placed increasing steadily over the last three years. introduced to accommodate the festival’s expansion from two to four days. festival. Six-year-olds come second with three wins while five, eight and nine-year-old racehorses have won one race apiece. L'Antartique and Divers are the two horses that have helped a rider and trainer achieve a record of two wins. The horses were ridden by Graham Lee in 2007 and 2011 respectively. Both seven-year-olds were trained by Fredy Murphy. Defending champion Hardy Eustace proved that his previous victory, at 33/1, was no fluke by justifying 7/4 favouritism, albeit narrowly, at the expense of Harchibald and Brave Inca, who went down by a neck and the same in a thrilling finish. However, the race is equally well remembered for the defeat of the talented, but enigmatic, Harchibald, who was hard on the steel halfway up the run-in, but found next to nothing when asked for an effort by jockey Paul Carberry. Moscow Flyer, who’d unseated jockey Barry Geraghty at the fourth last when odds-on favourite to win his second consecutive Queen Mother Champion Chase in 2004, made amends. 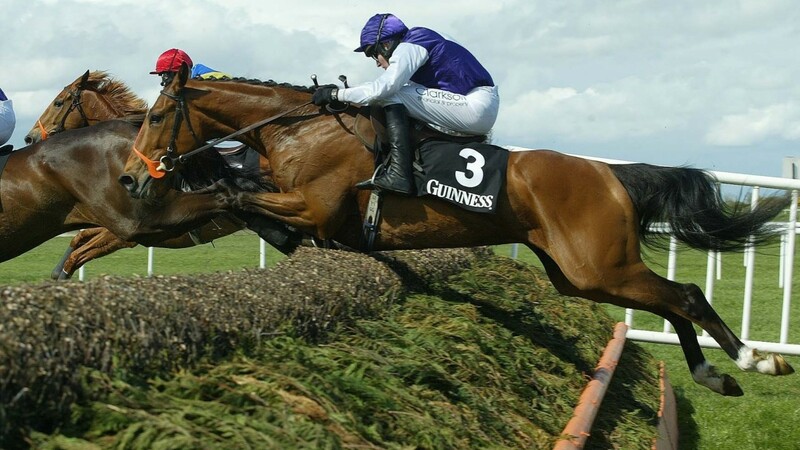 However, it was Well Chief, trained by Martin Pipe and ridden by Timmy Murphy, rather than the 2004 winner Azertyuiop, who emerged as his main rival. The pair was involved in a decent battle over the last three fences, but Moscow Flyer stayed on the stronger to win by 2 lengths, with Azertyuiop, who never really recovered from a blunder at the water jump, 13 lengths back in third. 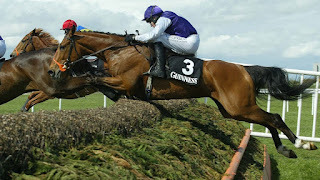 Newly sponsored by Ladbrokes and renamed the World Hurdle, the 2005 renewal represented the second attempt by Baracouda, the winner in 2002 and 2003, to record a third victory. Francois Doumen’s 10-year-old was all the rage to do so but, despite his best efforts under A.P. McCoy, was “run down” approaching the final flight by the 6-year-old Inglis Drever, trained by Howard Johnson and ridden by Graham Lee, who went on to win by 3 lengths. 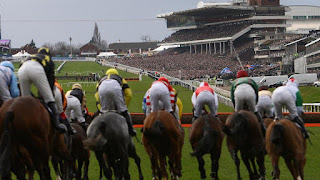 The 2005 Cheltenham Gold Cup had the distinction of being the first to be run on a Friday, after an additional day was added to the Festival programme. In the absence of defending champion Best Mate, who was withdrawn a week before the race with a burst blood vessel, Kicking King, trained by Tom Taaffe in Co. Kildare and ridden by Barry Geraghty, was sent off the heavily-backed 4/1 favourite. The King George VI Chase winner took a keen hold, but soon put any stamina doubts to rest, staying on strongly to beat Take The Stand by 5 lengths with Sir Rembrandt 8 lengths further behind in third. of a minimum four years of age. The race was renamed in 2011 to OLBG Mares Hurdle to match the requirements of sponsor OLBG, a betting firm. The trophy, however, retains the original name. turf surface Old Cheltenham Course. The winner takes home a share of about £60,000 from an available purse of £110, 000. This one of the few races that strictly admits female horses. The race was named in honour of champion jockey and trainer David Nicholson who died in 2006 after a long and successful career in National Hunt racing. It remains one of the youngest Cheltenham festival races, with the first edition having taken place in 2008. In the first edition, it was run on the final day of the Festival but it was later moved to the current slot on the first day. A grade 1 status was achieved in 2015.
respectively. They swept first place on consecutive occasions between 2009 and 2015 with the peerless Quevega. The mare was one of a kind, showing a renewed level of energy and skill at every new race. Melody won the 2015 race ridden by Paul Townend. The two teamed up again in 2016 when Ruby rode the Vroum Vroum Mag to a resounding victory. The duo does really love the Cheltenham Festival! They were dethroned in 2017 by Bryan Cooper ridden Apple’s Jade. It might be some while before they land another Quevega but the record set for both men and beast will definitely take some time to break!